Finding a product that’s less sweet than your average soft drink, but taster than plain water, can prove difficult. 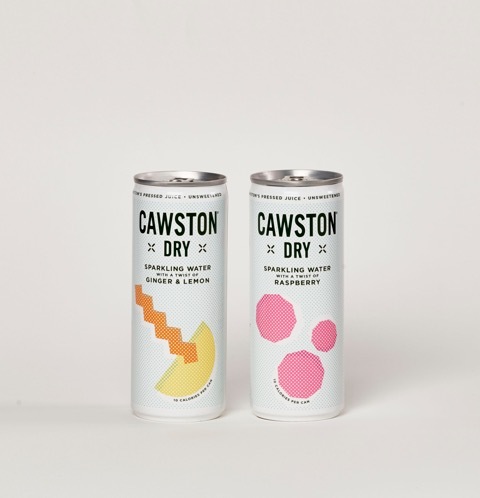 With its two new flavoured sparkling waters, one with a twist of raspberry, the other a twist of lemon and ginger, Cawston Press is looking to plug the gap. At 10 calories a can, the new drinks are aimed squarely at the growing number of shoppers seeking out grown-up soft drinks with high quality, natural ingredients. Both SKUs come in a single, 250ml slim can format, courtesy of Here Design agency, with close involvement from the Cawston Press in-house team.